Back in the 1990s, the National Institute on Alcohol Abuse and Alcoholism (NIAAA) published a monograph intended for use by therapists dealing with alcohol dependent individuals. Essentially, the NIAAA recommended that clinicians steer their alcoholic clients into Alcoholics Anonymous (AA) while simultaneously incorporating the principles of AA’s twelve steps into therapy sessions. The NIAAA’s monograph is now more than 20 years old, yet with some 21st century updates it remains a workable guide for therapists dealing with not just alcoholics, but addicts of all stripes. 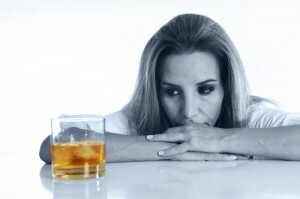 In today’s world, the general path to lasting sobriety and recovery typically involves a stay in inpatient rehab followed by addiction-focused outpatient therapy (both individual and group) coupled with twelve step recovery or a similar addiction-focused support network, such as SMART recovery, church-based support, and other facilitated or non-facilitated groups. Most of the time, as recovering addicts grow comfortable with sobriety they gradually rely less on professional therapy and more on other forms of support, many though not all of which are twelve step based. In a series of future articles I will discuss ways in which therapists can incorporate the twelve steps and similar tasks into traditional therapy, thereby improving a client’s odds of establishing and maintaining long-term sobriety and a healthier, happier life. Before I get into that, however, I think it’s important to discuss the general role of a therapist when treating an addicted client. The suggestions that follow are drawn from the NIAAA’s monograph, a host of more recent literature, and more than two decades as an addiction treatment specialist. When dealing with addicted clients, establishing sobriety should, at least initially, be the focus of treatment. Yes, co-occurring issues such as depression, anxiety, early-life trauma, plus all sorts of in-the-moment family, work, financial, and legal issues must also be addressed. However, therapists should understand that if/when an addict is still actively using, dealing with other issues tends to be less than fruitful. In such cases, while the therapist is trying to put out one fire, the actively addicted client is usually busy lighting another. Recognizing this, a primary early role for the therapist is facilitating the client’s acceptance of his or her addiction and fostering a commitment to both therapeutic and other forms of recovery. For secondary recovery the NIAAA’s monograph recommends twelve step groups, but other options have arisen over the years, including, as mentioned above, SMART recovery, church support networks, and other facilitated and non-facilitated groups. Explain the twelve step (and generally accepted) view of addiction as a disease of both the mind and the body. Discuss slips and relapse as a natural result of addiction-related denial. Introduce key twelve step recovery concepts, along with tenets in other forms of group support, helping the client link themes and concepts of addiction and recovery to personal experiences. Encourage attendance and participation in twelve step and/or other recovery meetings, discussing those meetings rather than therapy as the longer-term solution to addiction. Monitor twelve step and/or other recovery meeting attendance and participation, encouraging, when necessary, a greater involvement. Remain vigilant for signs of addiction-related denial, addressing these with a combination of therapeutic tasks, twelve step tasks, and similar tasks. Generally speaking, it is not necessary that therapists working with addicts be in recovery themselves. However, the knowledge and experience gained from personal recovery can definitely be helpful, as it tends to facilitate the therapeutic alliance. At the very least, therapists working with addicts should be familiar with the basic tenets of addiction-focused therapy, along with the nature of twelve step and other recovery support networks. Disclosure by therapists about being in recovery, if they are in fact in recovery, should be done on a case-by-case basis based on clinical experience and the client’s ability to tolerate such knowledge. That said, as stated to above, disclosure of recovery status often helps to build the therapeutic alliance. It also lends credence to any direction the therapist might give. If a therapist working with addicts is not in recovery, he or she should at least attend a variety of “open” twelve step meetings (meetings where observers are welcome), along with open meetings of any other recovery options that are available. In this way, the therapist can become familiar with how these programs work, and he or she can simultaneously develop a network of useful contacts—recovering men and women whom the therapist can call on for help in getting certain clients to meetings, to help explain a particular program’s tenets, to explain how the meetings work, etc. If an addicted client resists participation in twelve step and other support network meetings—usually by criticizing group members, calling the group a cult, or simply making lame excuses as to why he or she can’t attend (not having enough time is the usual go-to reason), therapists can interpret this as addiction-related denial. In such cases, therapists should patiently but steadily persist in trying to get the client to attend external support group meetings, bringing schedules to therapy sessions and suggesting which meetings might be appropriate, discussing what to expect at certain meetings, role playing, and perhaps even arranging rides. Therapists should not, however, offer to take a client to a meeting, or to attend a meeting with a client. It is vital that clients take at least a little bit of initiative in this regard. All therapists who treat addicted individuals should be interactive and conversational in their approach, rather than simply sitting back and reflecting what they hear. At times, therapists will need to confront addicted clients about their behaviors and distorted thinking, especially if the client is steeped in denial about the nature and consequences of his or her addiction. Other times, the therapist may need to be highly directive, insisting on a behavioral contract and various forms of accountability, steering clients toward twelve step or other support group meetings and monitoring attendance/participation, and perhaps assigning twelve step and similar tasks as therapeutic homework. As stated above, when therapists need to confront addicted clients it is important that they not judge or chastise the client. (Usually an addict’s self-esteem is already decimated, and further rebuke, especially from a perceived authority figure like a therapist, simply makes things worse, and this can easily trigger an addict toward relapse.) Generally, the most appropriate form of confrontation when working with an addict new to recovery is to share frankly and honestly, though gently and respectfully, about what you see the client doing. Often, it is helpful to discuss the matter in terms of the addict’s denial. At the end of the day, addicted clients nearly always need a combination of addiction-focused therapy (both individual and group) and twelve step or other group support to establish and maintain sobriety, regardless of the nature of their addiction. As such, addiction treatment specialists nearly always try to mesh standard therapeutic techniques and exercises with an external support network, typically (though not always) a twelve step program. As stated above, in future postings I will write about specific ways in which the twelve steps and similar tasks can be effectively incorporated into the therapeutic environment. Robert Weiss LCSW, CSAT-S is Senior Vice President of National Clinical Development for Elements Behavioral Health, creating and overseeing addiction and mental health treatment programs for more than a dozen high-end treatment facilities, including Promises Treatment Centers in Malibu, The Ranch in rural Tennessee, and The Right Step in Texas. An internationally acknowledged clinician, Rob has served as a subject expert for multiple media outlets including The Oprah Winfrey Network, The New York Times, The Los Angeles Times, The Daily Beast, and CNN, among many others. He is also the author of several highly regarded books. For more information please visit his website at robertweissmsw.com or follow him on Twitter, @RobWeissMSW.